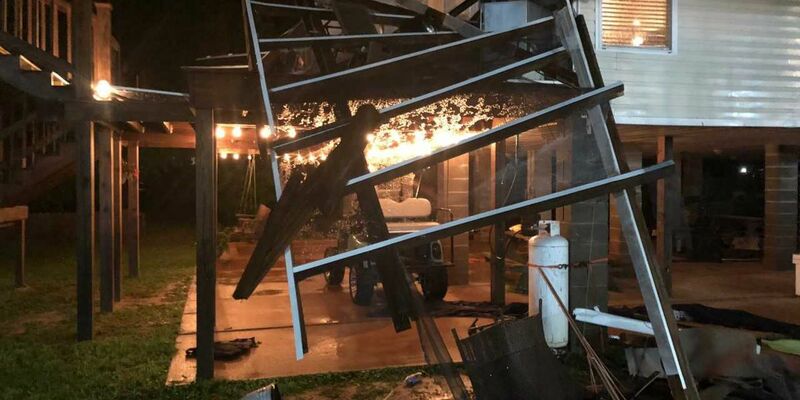 JACKSON COUNTY, MS (WLOX) - Several homes across South Mississippi experienced heavy damage Saturday night going into Sunday morning due to severe weather. Jackson County Emergency Management director Earl Etheridge confirmed 13 houses have reported damage, so far in Escatawpa and other areas in Jackson County. The emergency management team set up a staging area at the corner of Hwy 613 and Prescott Drive. The Storm Prediction Center placed South Mississippi under a Tornado Watch starting around 1 a.m. until 5 a.m. Sunday morning. For more information and the latest weather updates, visit here.